Last week, I received a copy of the 2011 WRTH, and enjoyed a most welcome read over the holiday weekend. I always look forward to the newest edition of the WRTH. I find that, even in an internet world, and especially now in the absence of the much-mourned Passport To World Band Radio, WRTH’s radio reviews, feature articles, and HF report make for excellent reading. 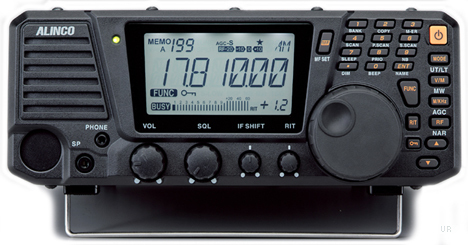 This year, for example, WRTH reviews several ultralight radios (the Tecsun PL-310/380, Kchibo KK-D6110 and the Kaito/Degen 1103), as well as the AOR AR5001D, the Flex 1500, the Winradio Excalibur (hint: they really like this one), the Medav LR2 and they also take a look a look at several classic pro receivers. They offer their digital update, articles on QSLing, a feature on the worthy radio charity, Ears To Our World, and much more. But, of course, the reason we all buy WRTH is for their in-depth comprehensive radio schedules for the upcoming year. Personally I can’t do without it–it’s never more than an arm’s length away from my shortwave. Purchase your copy of WRTH directly from WRTH’s publishers, or from a distributor like Universal Radio (US) or Radio HF (Canada). If you’re new to WRTH, note that they regularly update changes to their schedules throughout the year: go to their website to download these updates. If you would like to know more about using WRTH’s schedules, please see our previous post. This entry was posted in Books, News, Reviews and tagged Passport, Passport To World Band Radio, World Radio and TV Handbook, WRTH on December 31, 2010 by Thomas. While cruising Retro Thing, this cardboard tube radio kit caught my eye. It’s available for 49.95 EUR from Conrad International in Germany. I would have never thought about combining the warm character of vacuum tubes with a cardboard chassis. Still, one builder’s report is quite positive and assembly time is estimated at two hours. 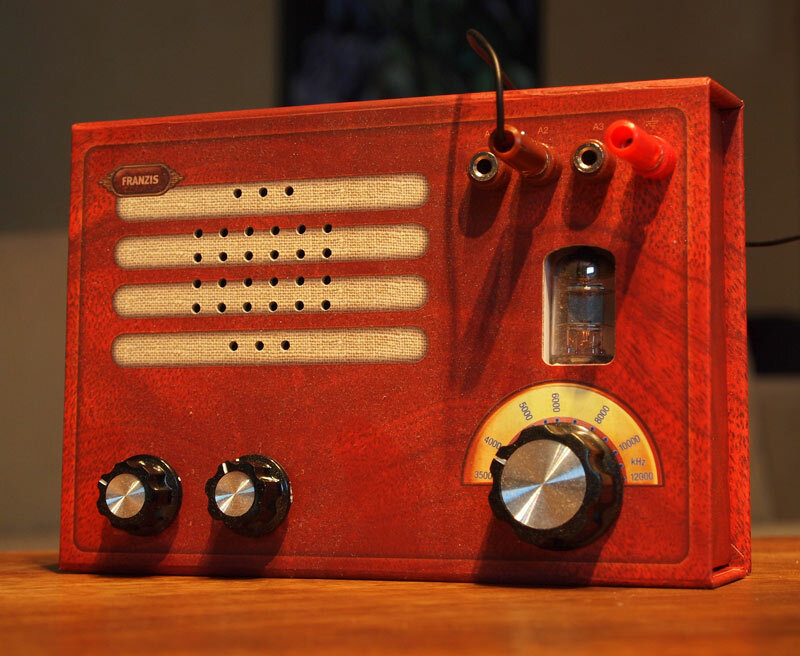 This entry was posted in Kits, Radios and tagged Franzis Radio Kit, Radio Kit, Tube Radio Kit on December 21, 2010 by Thomas. NIST Radio Station WWV Transmitter Building in Fort Collins, Colorado. If shortwave radio has a pulse, it is the constant beat of the WWV and WWVH time stations. Some of the first memories I have of hearing shortwave radio are of my father tuning in WWV each Sunday morning (on his RCA 6K3), to set his watch. Had this not been my father’s routine, I’m not so sure I would have known what shortwave radio was for many years. Indeed, I’m so fond of WWV, that I have to make a modest confession: I often tune it in simply to listen to its predictably reassuring announcements of the time. Somehow it calms and comforts me that all is right on the airwaves. Actually, WWV is and has always been much more than simply a time station. It is the most reliable way for us here in North America to check propagation characteristics both by listening to the signal strengths of the transmissions on 5, 10, 15 and 20 MHz, but also by the announcements made at specific times throughout the day. Lately, WWV has even been announcing test tsunami warnings. It was the search for broadcasts of these warnings that lead me to Myke Dodge Weiskopf’s site, Myke.me. (Regular readers of the SWLing Post will be familiar with Myke’s work.) When I wrote to thank Myke for the audio, he drew my attention to something irresistible to a WWV disciple like me. At The Tone is the first comprehensive audio survey of NIST Radio Stations WWV and WWVH: two legendary shortwave radio broadcasters whose primary purpose is the dissemination of scientifically precise time and frequency. Comprised of a 74-minute audio CD and a 32-page, full-color booklet, the set represents a huge cross-section of the stations’ “life and times,” including recordings of obsolete formats, original voices and identifications, special announcements, format changes, “leap seconds,” and other aural oddities from 1958 to 2005. After listening to some of the sample audio from the project, I was hooked: I purchased the CD on Myke’s website and have enjoyed hearing the many tracks of audio history from WWV. The accompanying track notes alone provide a very complete history of the these NIST stations, and are the perfect companion to the audio tracks. It may seem foolish to wax enthusiastic about a time station. But before you judge me for my indulgence in this unlikely source of nostalgia, I encourage you to cruise to Myke’s site, purchase “At The Tone” and see (or rather, hear) for yourself! This entry was posted in Reviews, SWLers and tagged Myke Dodge Weiskopf, Myke Weiskopf, WWV, WWV Audio on December 14, 2010 by Thomas. UPDATE -> 02 September 2011: Please click here to read our full review of the Alinco DX-R8T. The Alinco DX-R8T tabletop shortwave radio. Universal Radioannounced today that the Alinco DX-R8T will be priced at $499.95 US. Expected delivery is December 27, 2010–Universal is now taking orders. Please see our previous post about the DX-R8T. This entry was posted in News, Radios and tagged Alinco, Alinco DX-R8T, DX-R8T on December 14, 2010 by Thomas. WRTH has announced that their 2011 edition is now available online. Every year, I look forward to searching a new WRTH’s pages for the first time. 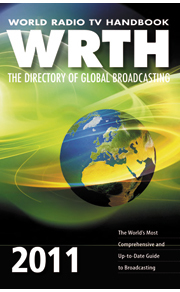 What is the WRTH (World Radio and TV Handbook)? Click here to read my review of the 2010 edition and interview with the publisher. To order your copy of WRTH 2011, go to this page on WRTH’s website. This entry was posted in Books, News, Reviews and tagged World Radio and TV Handbook, WRTH, WRTH 2011 on December 6, 2010 by Thomas.